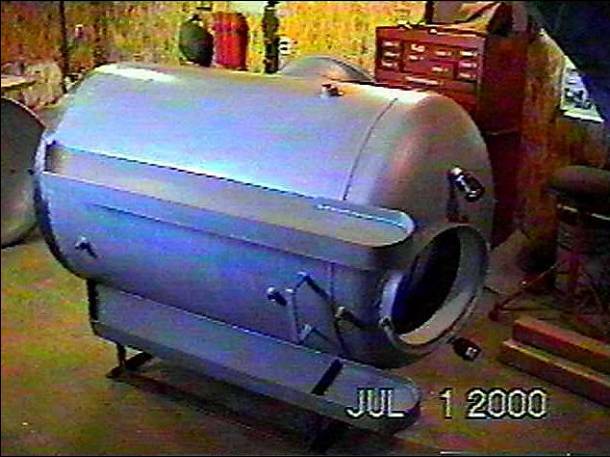 Rather than design your own sub, you can do what Dale Heinzig of Alberta, Canada did: buy a set of plans for a proven design, and build it yourself. 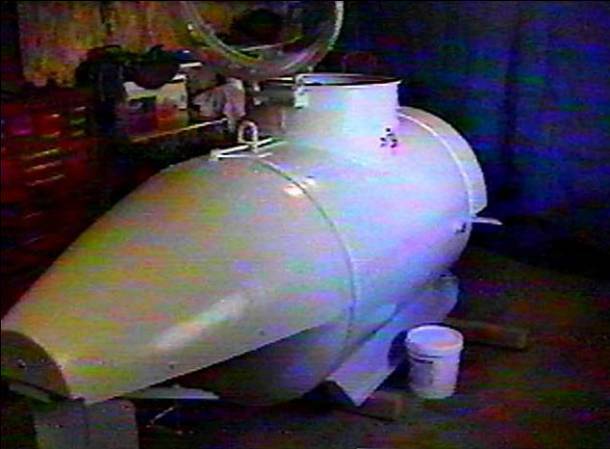 In this case, Dale decided on George Kittredge’s K-250: a one-man submersible rated for an operating depth of 250 feet. 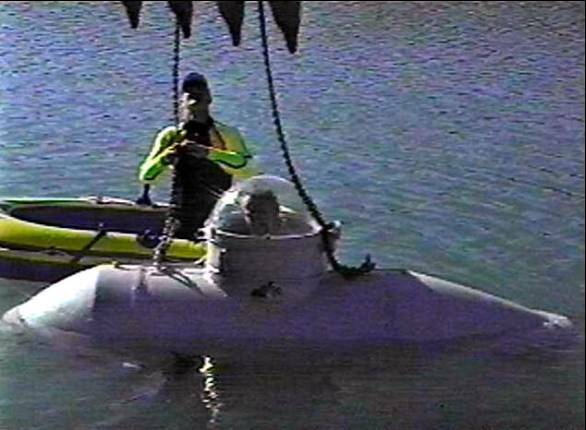 Here are some pictures showing how Dale built and tested his submarine, SNOOPY. 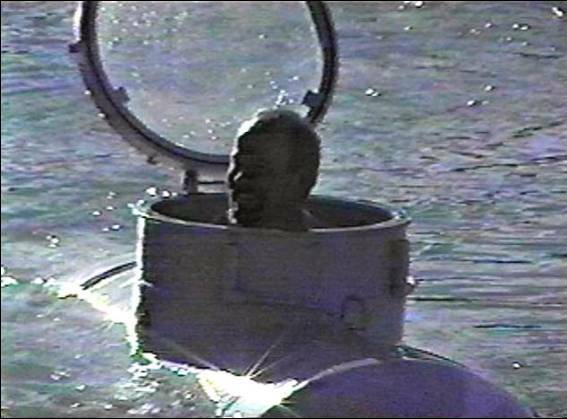 Dale sitting in his K-250’s pressure hull with the clear acrylic dome in place. 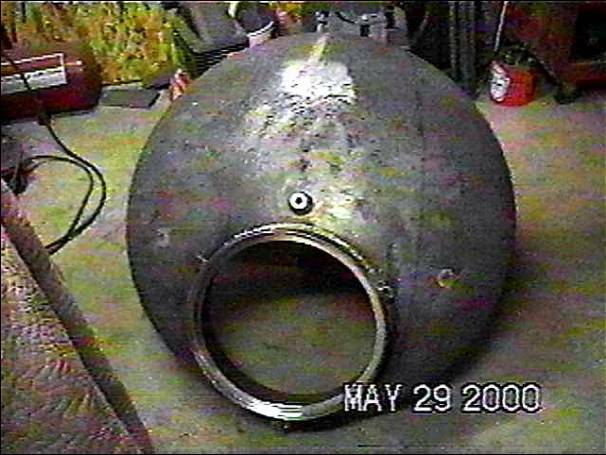 The white object inside the pressure hull is a ballast tank; the circular ribs are for reinforcement. 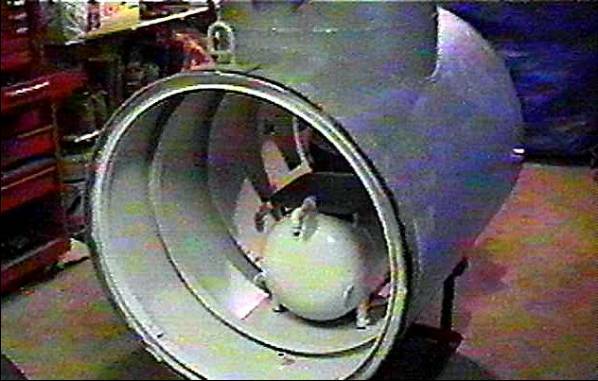 The pressure hull end cap with the forward view port flange in place. 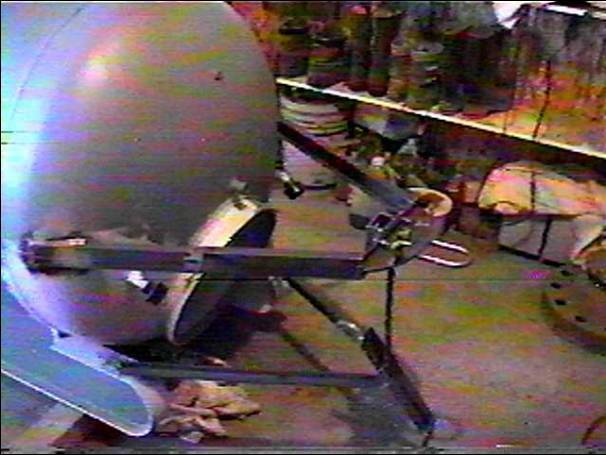 Dale had parts like the hull and endcaps manufactured at a metal fabrication shop, and then welded the assembly together. One of two MINN KOTA trolling motors that has been modified to work on the sub. 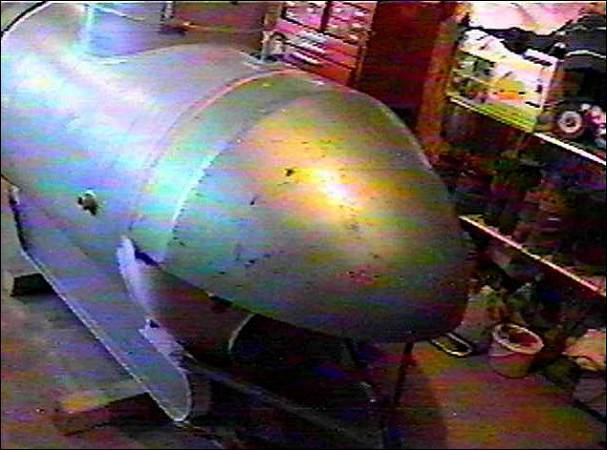 The stainless steel shaft will enter the sub via a watertight “through-hull” coupler adapted with close-fit O-rings. 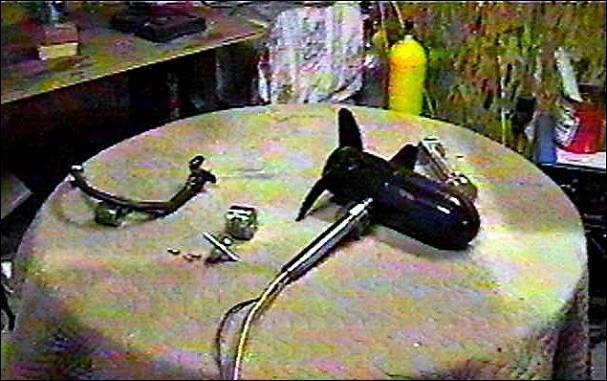 The housing of the motor will sit outside in the water, and be compensated against depth pressure via compressed air. The hull looks pretty far along at this point, as the skids, through-hulls, and lights are in place. 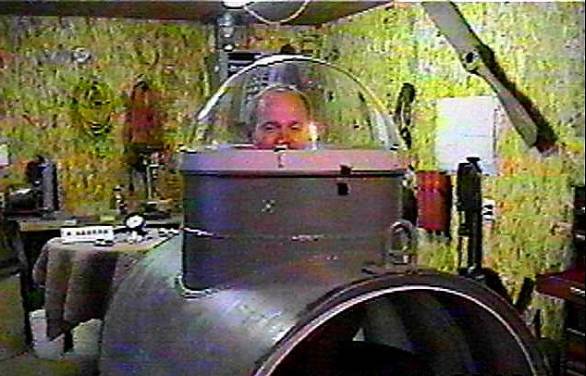 The aft end cap is visible to the left of the picture; and since the sub is rolled to the side on its mount, I’d say Dale was about ready to weld the aft end cap on at this point. This is the framework for the forward ballast tank mounts and the mechanical claw that will add utility to the submarine. 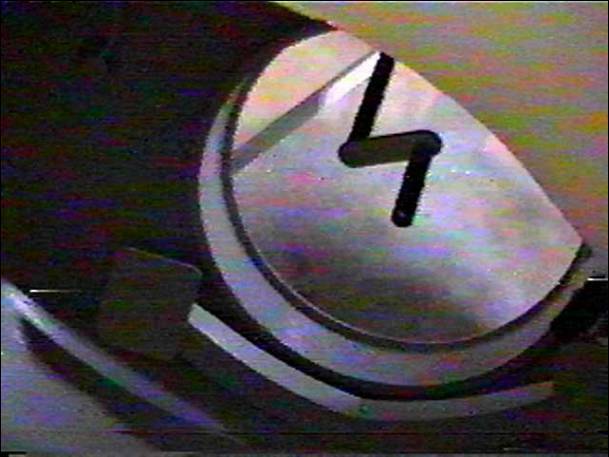 The “Z-shaped” object framed by the view port in this shot of the cabin interior is actually a crank handle that will open and close the jaws of the mechanical claw. Forward ballast tank in place. Aft ballast tank in place. 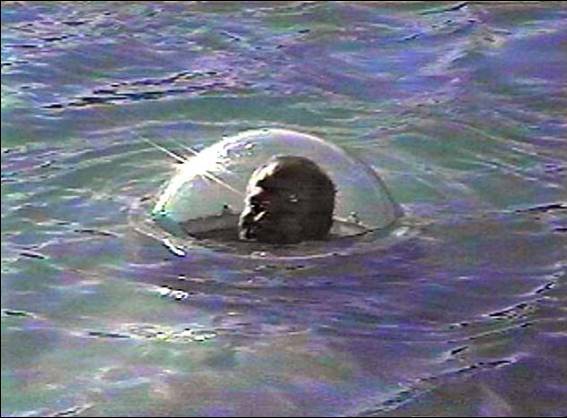 Float Test #1. 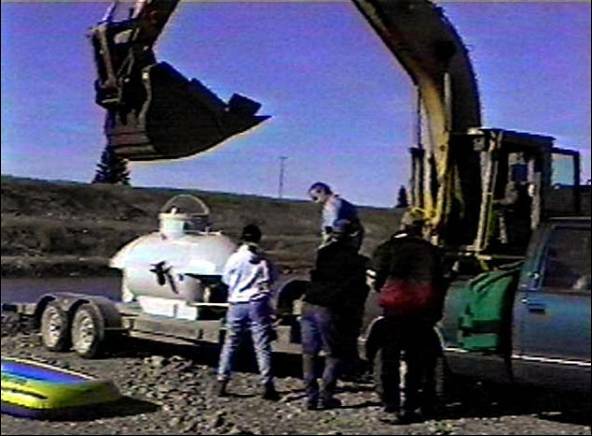 Dale and friends will launch SNOOPY using a backhoe as a crane, and if all goes well the submarine will perform surfaced and submerged operations the first time out. 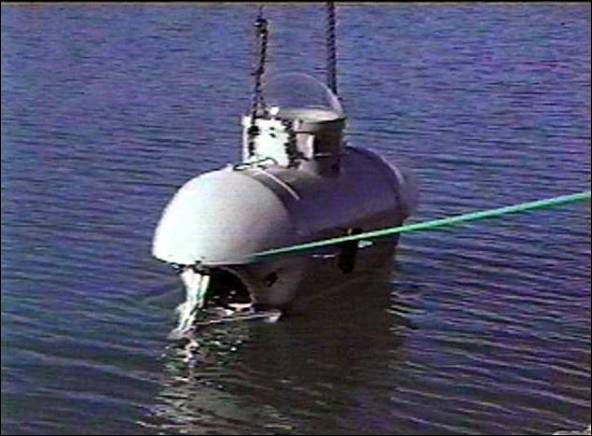 Snoopy is carefully lowered into the water with a line attached to keep the sub from swinging. Dale’s brother detaches the rigging, as Dale sits at the controls. Dale puts SNOOPY through a series of surface maneuvering tests, and is happy with stability and control. Smiling now that the moment he has worked for is finally here, Dale proceeds to dive the boat. I really enjoy watching a guy get to this point, because I know from my own experience that what he went through was tough, and what he’s about to experience are powerful feelings of self-reliance, accomplishment, and satisfaction. The first dive is truly an affirmation of one’s self, after a long struggle against uncertainty. 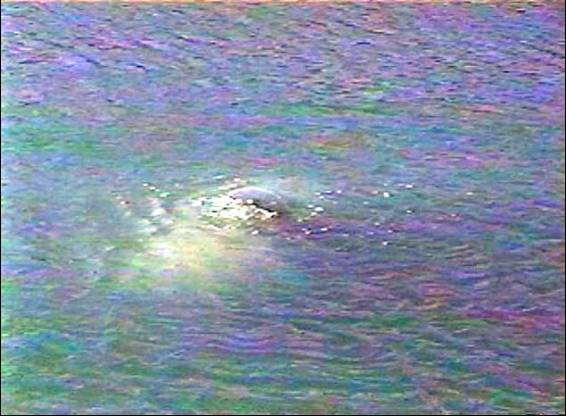 And there she goes: fully submerged. 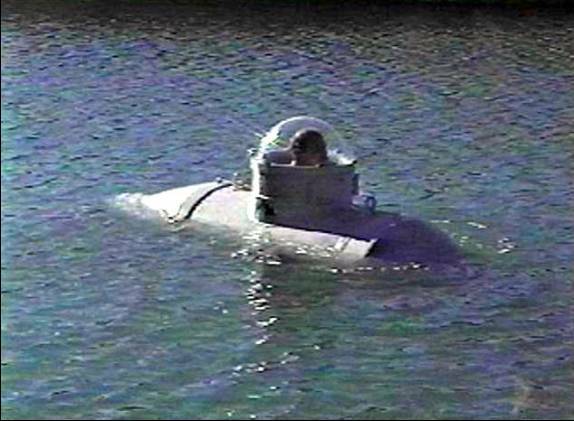 Now, SNOOPY is a real submarine. The smile says it all. This is an experience only those who have been there can fully appreciate. 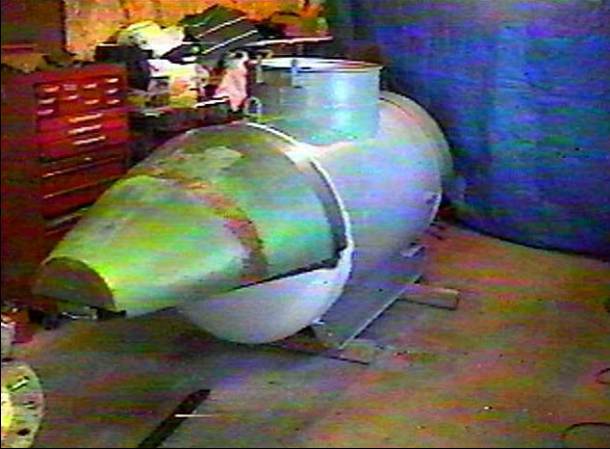 Subs aren’t easy projects to build; but that only makes the moment of truth all the more enjoyable. 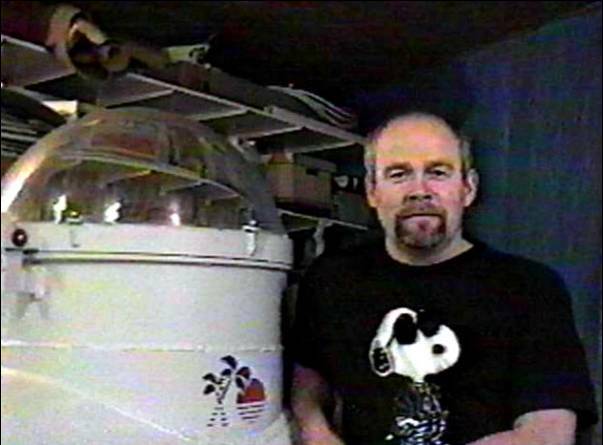 Dale went on after this to operate SNOOPY with great success, and was even featured on an episode of the RIPLEY’S BELIEVE IT OR NOT television show. Pretty good, eh?